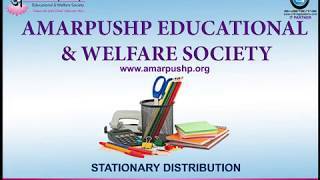 Amarpushp Educational & Welfare Society (AEWS) is a non-profit organization registered under the Societies’ Registration Act of 1860. AEWS was set up in May 2011 and since then have been raising resources for girls, rural children education women empowerment, food and clothes for people and other social issues. Amarpushp is founded by Mrs. Gitanjali Kushwaha (Founder) and Mr. Ashish Kushwaha (Co-Founder), Mr. Amar Nath is Vice President and Mrs. Pushpa is Mentor of the organization. Since seven years, we are working on many areas to help and educate people. Project description, event photos and media publications are added below. Feel free to visit our social media pages to know more details of events and activities performed by Amarpushp Educational and Welfare Society. Let’s make a difference by donating small effort and time to think and do something for under privileged people. Join hands with us to bring smile on their face by donating old clothes, toys. You can also sponsor their education, food, health and livlihood with donation options available with us. Feel to share your time to educate them with many activities like soft toy creation, drawing, craft etc. We help children with limited means to get access to quality education, with a focus on street children and girls. The simplest solution which Being Green aim at is to plant Trees and Act Green. We have to move to more effective solutions. AEWS is running Rural Children Education program. 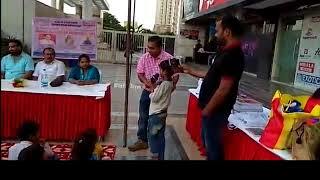 AEWS organize small events and coaching class to slum and under privileged area to connect with people and motivating them to give education to children. We do organize regular coaching class along with stationary, snacks (occasionally), raw food etc. This motivates them and their parents for education. AEWS is running Disaster Management Program since 3 years. Amarpushp Educational and Welfare Society helps people during natural disaster by providing food, clothes, medicines, sanitary items etc. 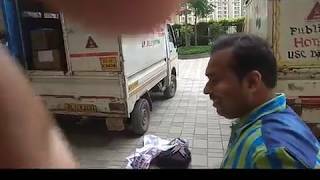 Recently we helped Kerala to fight against flood and sent required items. AEWS is running Vastradaan project since 4 years. We do distribute clothes to children, needy people on various occasions. Many videos are available on YouTube for these events. Vastra event organized in Allahabad and Greater Noida West. AEWS is running Annapoorna (food distribution) project since 7 years. In Allahabad, on the bank on river Ganga, food distributed by AEWS annual basis along with occasional bhandara and other events on festivals. More than 5000 people every year eat food on these events. AEWS is running Expression – A Thought program since 3 years. Gitanjali Kushwaha (Founder of AEWS) designed this program. By this program, AEWS organizing art and cultural activities to motivate children for extra-curricular activities. We do organize various drawing competition like Namami Gange Drawing Competition, National Drawing Competition, Rangoli and Essay competition etc. 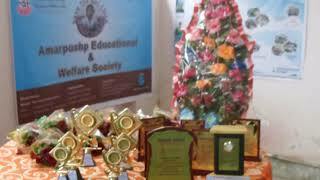 Amarpushp NGO is doing great work for our society underprivileged people. They are running multiple events and programs through-out the year to help the needed children. Amarpushp NGO team is full of energy & passion and doing their best from bottom of their heart to help required people. God bless them !